President Trump on Thursday tweeted out part of an old interview with Hillary Clinton during which she argues a “strong Russia” is in the world’s best interest. 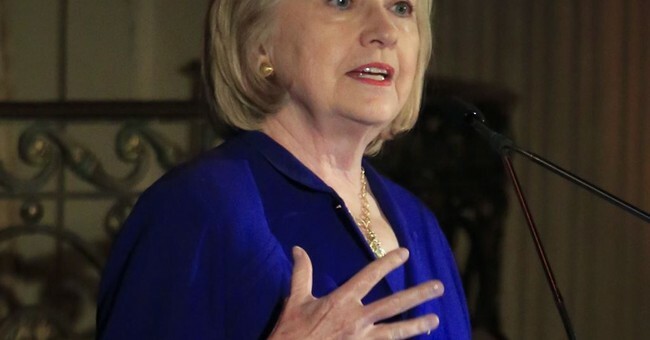 “We want very much to have a strong Russia because a strong, confident, prosperous, stable Russia is, we think, in the interests of the world,” Clinton says in the 2010 interview with First Channel Television, which is partially owned by the Russia government, according to The Hill. Clinton was asked by interviewer Vladimir Pozner about “America’s place in the modern world” when she made the comments. “Is it a force aimed at supporting the world’s equilibrium? Or is it a force aimed at changing the status quo?” Pozner questioned. Clinton was quick to respond, pointing out that her comments were made when Dmitry Medvedev was president.